Wow. It's almost been a whole year since my last post. Time flies. The conflict in Syria has left nearly 3 million Syrian refugees in Turkey. I've spoken to numerous Turks about how they felt about refugees, and their opinions seem to be mixed. Throughout history, the geography of present day Turkey, Anatolia, has been a center of immigration. Turks themselves immigrated from Central Asia, fleeing droughts and conflicts. But, just like here in the U.S. and elsewhere, many, even in established immigrant communities tend to be wary and often unwelcoming of new immigrants. 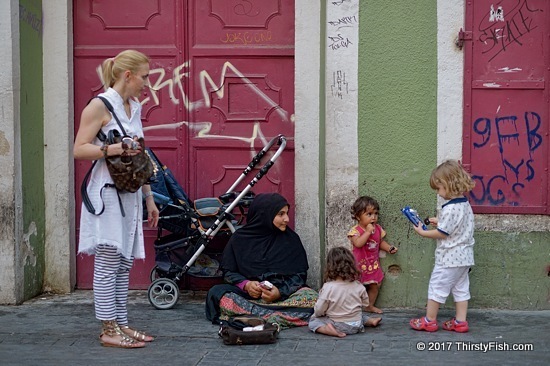 Kudos to this Turkish mom for encouraging her daughter to share her cookies with the Syrian kids.